Are the cups, blades and jugs dishwasher safe? Yes! All Ninja accessories are dishwasher safe; however, we do recommend putting these on the top shelf of your dishwasher. Auto-iQ® Technology is one-touch intelligent programmes designed specifically for each jar attachment. These intelligent programmes combine unique, timed pulsing, blending and pausing patterns that do the work for you! Impressive results every time with no guesswork required! 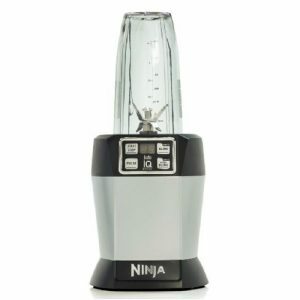 Ninja® Auto-iQ® Technology combined with Pro Extractor Blades® breaks down whole fruits, vegetables, ice and seeds for nutrient & vitamin extraction using intelligent blending programmes. Will my Ninja make nut butter? Yes, the Ninja is indeed totally capable of this! The best way to make a nut butter is by using short pulses. Why do certain programmes not work? 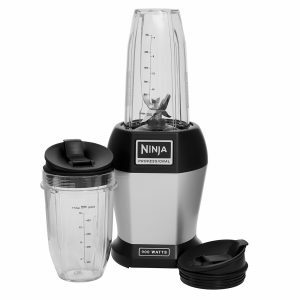 Not all programmes work with every attachment – you need to make sure you have the correct jug/cup on the Ninja for the desired programme to work. If you have tried them all, and they are still not working, please call our customer service team on 0800 862 0453 who will be able to assist further. Can I blend frozen ingredients? 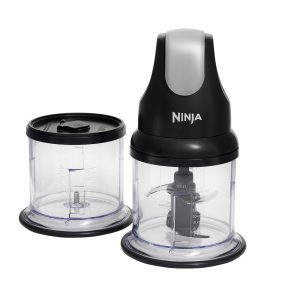 Yes, the Ninja Pro-Extractor blades break down frozen ingredients in seconds. For best results, use one of the Auto-iQ programmes. Can I blend hot ingredients? 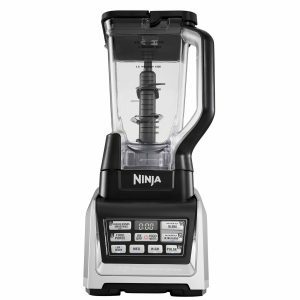 No, Ninja blenders are not designed to blend hot ingredients. My motor isn’t turning on, what should I do? Make sure your Ninja unit is plugged into a power supply. You also need to make sure the cups/jugs are clicked into place properly. The Ninja will not allow selections to be made if the cups/jugs are not fully clicked into place. If your Ninja still will not turn on after checking the cups/jugs are securely locked into place, please contact our customer service team on 0800 862 0453 who will be able to assist further. 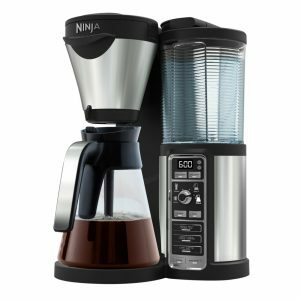 Will the Coffee & Spice Grinder fit my Ninja model? 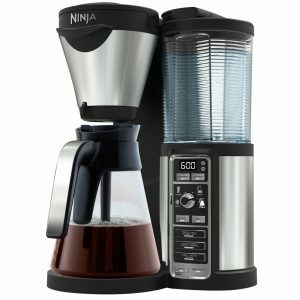 The Coffee and Spice grinder is compatible with all Ninja models that have Auto-IQ technology. How do I clean my Ninja? We recommend wiping over the motor base with a damp soapy cloth. To wash the accessories (including the blade) you can use hot soapy water, or put the parts in your dishwasher. How long are new Ninja products guaranteed for? All our Ninja units come with a 12 month warranty. If you purchased this from a retailer, your warranty is with the retailer. How do I claim on my warranty? If you have a problem with your Ninja, please contact our team on 0800 862 0453 who will be able to go through troubleshooting steps and discuss your warranty options. If you purchased your unit directly from us, please call our customer service team on 0800 862 0453 who will be able to set up the return for you and provide you with return instructions. If you purchased your Ninja from a retailer, please contact the point of sale in the first instance. Are any accessories covered by the guarantee? 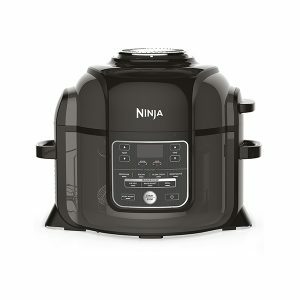 Only the main unit and standard accessories are covered by the Ninja warranty. Any additional accessories are not covered.